The Queen gets a Facebook Page! 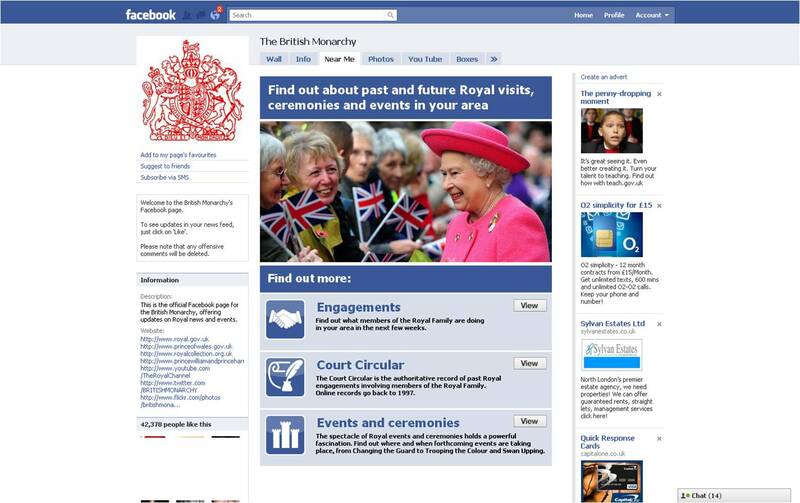 The British Monarchy Facebook Page has launched, bringing the Queen to another area of the social web. The British Monarchy Facebook page links to various different official sites and details forthcoming engagements with Facebook users able to comment on everything. The Facebook page joins the growing list of social tools used by the British Monarchy to engage the public - links to the The Royal YouTube Channel, the British Monarchy Twitter account and the British Monarchy Flickr account are below.